Chances are, you have enjoyed the work of the special effects wizards at Legacy Effects. In fact, if you watched either Jurassic World or Terminator Genisys in a theater, you enjoyed their work as recently as this summer. 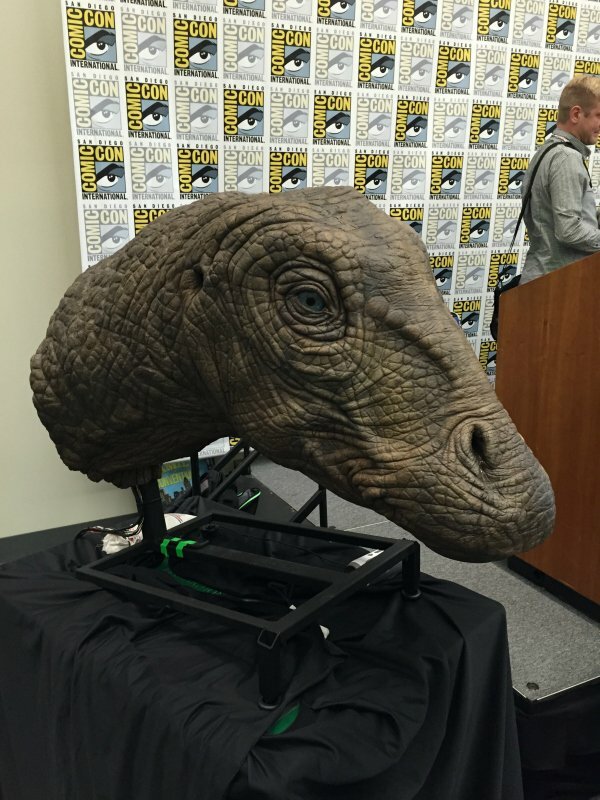 The team was in full effect (no pun intended) for a panel discussion at San Diego Comic-Con on the state of practical effects in movies, and the ways that the industry has changed. And in recalling the good old days, they told a great story about their "epic fail" on the set of Steven Spielberg’s Jurassic Park. Most of the men on the Legacy Effects panel had studied under the master, Stan Winston, and were recalling their time spent on the first dino drama, talking about how things have changed between then and now (with regards to Jurassic World). When they were asked about a time in their careers when a practical effect had backfired, they sheepishly recalled their work on the T Rex in Spielberg’s epic blockbuster. From what they said, they were told that the T Rex would never have to operate in the rain. They spent months building the creature, and weeks fine tuning his tech so that he would be able to move exactly how they wanted and needed him to move in the scene. Guess what happened? It rained. Hard. Once [the T Rex] got wet, the tuning didn’t work. And [the dinosaur] shook. And it didn’t operate." All in all, it was an informative and creative discussion about the state of practical effects on the modern blockbuster landscape, and a reminder that no matter how hard you work at something, rain could foil your best intentions.